Electronics have greatly improved the quality of toys nowadays, adding sounds, lights, and other feedback that makes toys more interactive. These responses will make your kids a bit brighter and more creative, and it adds a whole new level of fun to your kid’s toys. One great example of an #electronic toy is the #plug and play classic #games. They’re very easy to use, and great for any kids, younger or older. They’re little joystick boxes that you can plug into the TV and play classic 1980s arcade games on. For example, the Pac-Man Connect and Play box let you play Pac-Man as well as a few other classic games. You can also get your kids an #Atari Flashback console, which does the same thing and comes with over 100 #Atari games. The Atari Flashback is a bit bigger than one of the smaller plug and play games, but it includes a lot more. This makes it a great thing for parents and kids to bond over, especially if the parents grew up playing those games. One amazing gift for kids that like to work with technology and computers is the Cozmo robot. Connecting to an app on your phone, you can control and interact with Cozmo, and even level him up and get upgrades for him. You can play all kinds of games with Cozmo by using the included Power Cubes. You can get your kids’ accessories to go with Cozmo, such as storage cases and screen protectors, which comes in handy if you have pets or young children that might scratch the screen or get a little too rough with it. If you have much younger children, you might consider getting them a VTech Sort & Discover Activity Cube. The Activity Cube has 5 sides with activities built in that help your baby develop their motor skills and learn basic things like colors, numbers, and more. Your baby can learn how to recognize shapes such as squares, circles, triangles, and stars. All of the corners have been rounded for safety, so you don’t have to worry about your baby hurting itself. Another great electronic toy for little kids is the VTech Musical Rhymes book. Each page has interactive elements that help develop your kid’s mind, and it also plays songs that they can learn, such as Old MacDonald Had a Farm. There are many #musical gifts you can get a child in your life. 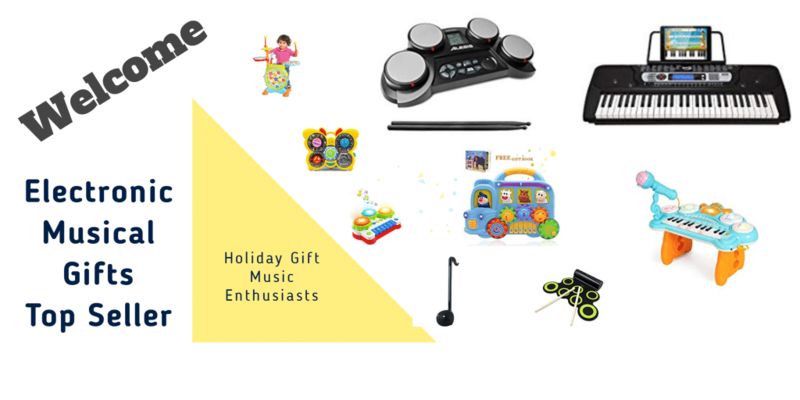 They range from drum sets (electronic or traditional) to gifts like karaoke machines – which kids love to use for things like family fun night or sleepovers. 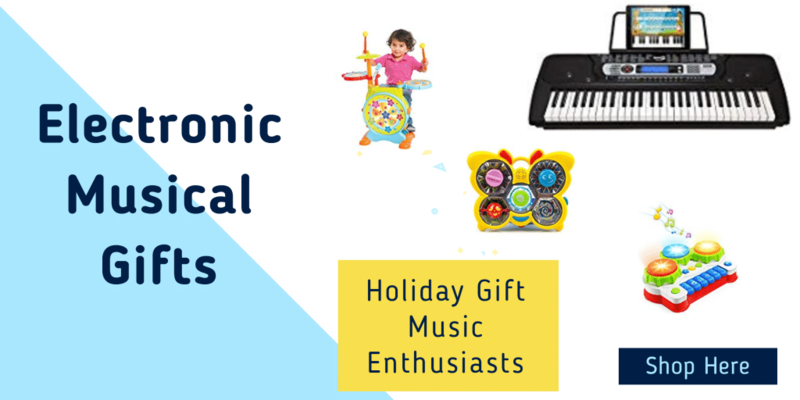 Great gift ideas that children love are kids musical instruments. 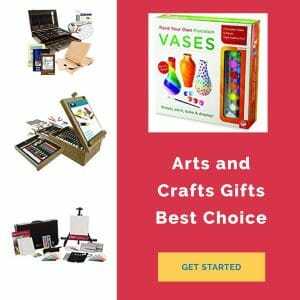 These items can bring hours of entertainment while providing excellent learning opportunities for the little ones as well. Unfortunately, many parents often overlook these valuable gifts while shopping for toys. There is a valid theory among professional educators that asserts that there are eight different types of intelligence. Just as some people learn through seeing others learn through listening. Some people are prone to learn through music, too. You can appeal to your child’s musical intelligence by buying kids musical instruments. While your child explores the music toys, he is opening a door to a new and exciting world of music adventure. The kid’s musical instruments are great vehicles to encourage learning through play. When learning is fun for children they are more likely to become involved in the educational activity. It is also a good idea to expose your child to as many modes of intelligence as you can. This helps your young ones develop skills in several areas and this helps him become a well rounded individual. The great thing about using kids musical instruments as teaching tools is that you can approach it in a number of ways. And still achieve outstanding results. For example, kid’s musical instruments can be used to teach music and math. Math and music go hand and hand. A young child can learn how to count through kids musical instruments. A parent can teach rhythm and meter as well as measures. Don’t worry. You don’t have to be a musician to do this. It works on the most fundamental level. Music can be used to teach valuable social skills as well. Kids musical instruments can be a great tool for taking turns. They are helpful because you can use the end of a song as a signal that it is time to switch instruments with another child. Many children benefit from these social building activities. Using reaching strategies to encourage learning through play is wonderful. However, it is also important to let the children play with the kids musical instruments independently. They learn from independent play as well.